New Delhi (India), Apr 13 (ANI): The makers of 'Kalank' have released yet another song 'Aira Gaira' on Saturday. 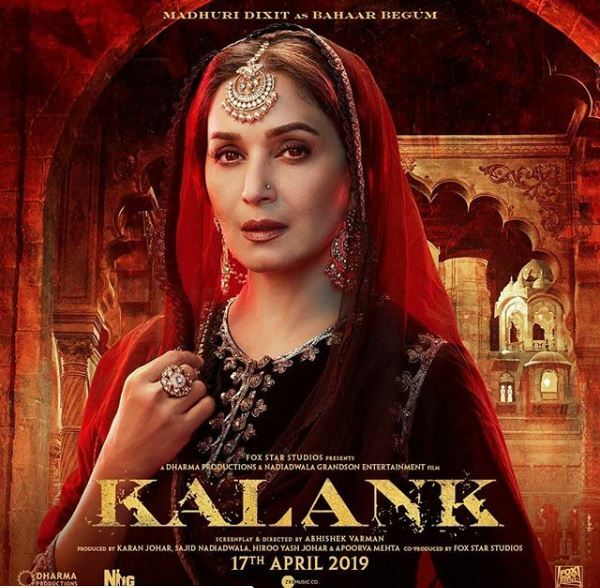 New Delhi (India), Apr 8 (ANI): The multi-starrer 'Kalank' has been hogging limelight ever since its inception and the makers of the film sure know how to the keep the audience on their toes for the much-awaited period drama. New Delhi [India] Apr 3 (ANI): The trailer of Karan Johar's much-awaited film 'Kalank' is finally out, and it deals with an unusual love triangle and an undying quest for love. New Delhi (India), Apr 1 (ANI): Get ready to witness the beautiful world of 'Kalank' as the makers are finally releasing the film's trailer this week. New Delhi [India], Mar 30 (ANI): The makers of 'Kalank' have finally treated the anticipating fans with the title track 'Kalank Nahi Ishq Hai' featuring Varun Dhawan and Alia Bhatt. New Delhi (India), Mar 29 (ANI): Fans of 'Kalank' will have to wait a little longer for the film's title track to come out as it has been delayed by a day. New Delhi (India), Mar 29 (ANI): Everyone's favourite Bollywood pair Alia Bhatt and Varun Dhawan's chemistry is undeniable and their latest photo shoot for a magazine cover is proof of the same.